North East councils and housing providers are working together to help prevent tenancy fraud and the billions of pounds it costs taxpayers. 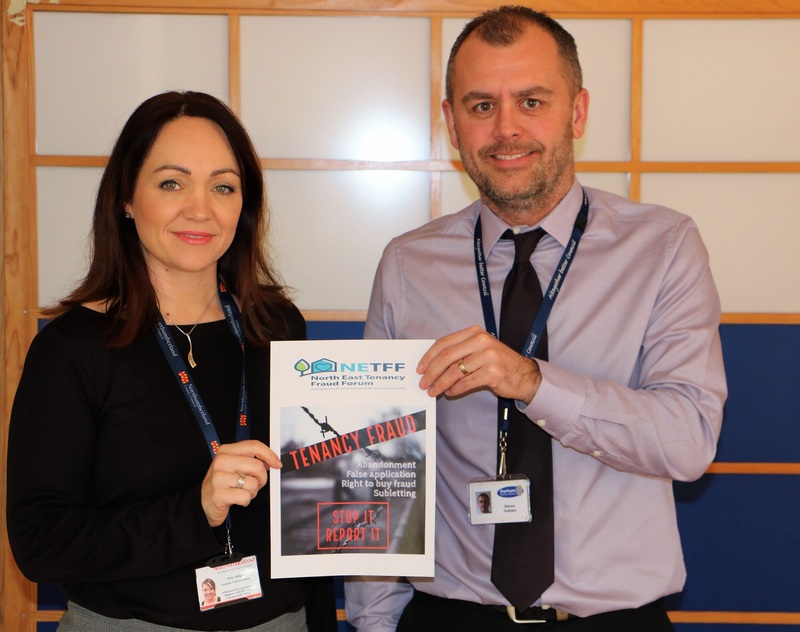 The partners, from the North East Tenancy Fraud Forum, have organised a week-long campaign to raise awareness of the harm caused by tenancy fraud and how it can be reported. Members of the public will be able to access key messages from the campaign via social media, where forum members will be posting using the hashtag #NEHousingFraud, focussing on a different theme each day. Between 2013-16, the UK Fraud Costs Measurement Committees Annual Fraud Indicator estimated that the cost of tenancy fraud across England was £1.8billion. Tenancy fraud continues to cause problems both financially and by depriving people who genuinely need a home. Steven Graham, Durham County Council’s corporate fraud officer and joint chair of the North East Tenancy Fraud Forum said: “The North East Tenancy Fraud Forum is determined to protect the council, partners and the public from fraud and corruption. In order to do this, we are committed to developing a culture of zero tolerance. We view any act of fraud or attempted fraud very seriously and all reported instances of potential fraud or corruption will be investigated promptly and, where proven, appropriate action will be taken. “Anyone concerned about possible fraud or corruption concerning tenancy fraud is encouraged to report it”. Tenancy fraud can be reported by contacting the local council or housing provider. Amy Hodgson, Northumberland County Council corporate fraud investigator and joint chair of the North East Tenancy Fraud Forum, continued: “In particular, the forum is committed to tackling social housing fraud, to ensure that more properties are available for those in genuine need. “Good housing provision has been proven to have a positive impact on education, health and the social care needs of a community, so the wider potential benefits to hard-working families are very important.